Qatar National Bank (QNB) with $229 billion of assets is the largest bank in the Middle East and Africa (MEA) zone according to S&P Global Market Intelligence. 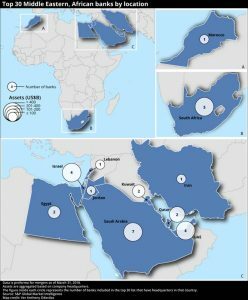 It is followed by First Abu Dhabi with $182 billion and then the top African bank, which is the Standard Bank of South Africa (Stanbic) with $164 billion of assets. Fourth and fifth are banks from Israel which S&P notes rose on the list due to the appreciation of the country’s Shekel currency versus the US dollar. South Africa has the most African banks on the list with First Rand (ranked 8), Barclays Africa with $94 billion of assets and which is rebranding to Absa is ninth, while Nedbank and Investec are in 13th and 27th place respectively on the S&P list. Other African banks are the National Bank of Egypt (14) and Attijariwafa of Morocco (23 ). QNB, which has been publishing quarterly results in Kenyan newspapers alongside other commercial banks, is also the second largest shareholder of Ecobank of Togo, but there are no Nigeria banks or any Sub-Saharan ones from the East or West blocks of the continent on the MEA list. Kenya’s largest bank group – KCB has about $6.5 billion of assets. QNB and the banks on the MEA list are ranked according to IFRS accounting principles but certain banks use local accounting measures e.g Israeli GAAP, Eqyptian GAAP and Qatari GAAP. The MEA banks are a sub-set of S&P’s list ranking the largest banks in the world. The list was topped by four banks from China, led by the Industrial & Commercial Bank of China with $4 trillion of assets, followed by China Construction Bank, Agricultural Bank of China and the Bank of China. There is more diversity after that with Mitsubishi UFJ of Japan in 5th place with $2.8 trillion of assets, followed by JPMorgan Chase (USA), the UK’s HSBC and in 8th place is BNP Paribas of France with $2.3 trillion of assets. Eighteen of the top 100 banks are from China, with $24 trillion of assets, the US had eleven banks and Japan has eight banks, but none from the MEA. This entry was posted in Bank rankings, Barclays, China, Middle East, Qatar, Stanbic and tagged Africa Rising on May 16, 2018 by bankelele. 1 (1) KCB: Assets of Kshs 555 billion and a pre-tax profit of Kshs 27. 5 billion. Have 13 million mobile customers, and 57% transactions were done on mobile devices, 15% by bank agents and 10% at bank ATM’s. However, KCB did not roll out a new digital strategy direction in 2017 as earlier announced. Combined group assets were Kshs 646 billion (US$6.4 billion). 2 (2) Equity Bank: Focused on fee income, transaction processing and treasury business over interest income, and their CEO said micro-lending will only resume after interest rate caps are lifted. 4 (5) Standard Chartered Kenya. 5 (4) Barclays launched Timiza app in 2018 which should enable a big retail banking leap. It will also begin a process of rebranding to Absa. 6 (6) Diamond Trust: Bought Habib bank. 8 (7) Commercial Bank of Africa: Now in five countries after using M-shwari to expand to Ivory Coast and Rwanda – where they recently acquired Crane Bank Rwanda. This entry was posted in Bank rankings, Equity Bank, Investing in Kenya, KCB on April 3, 2018 by bankelele. 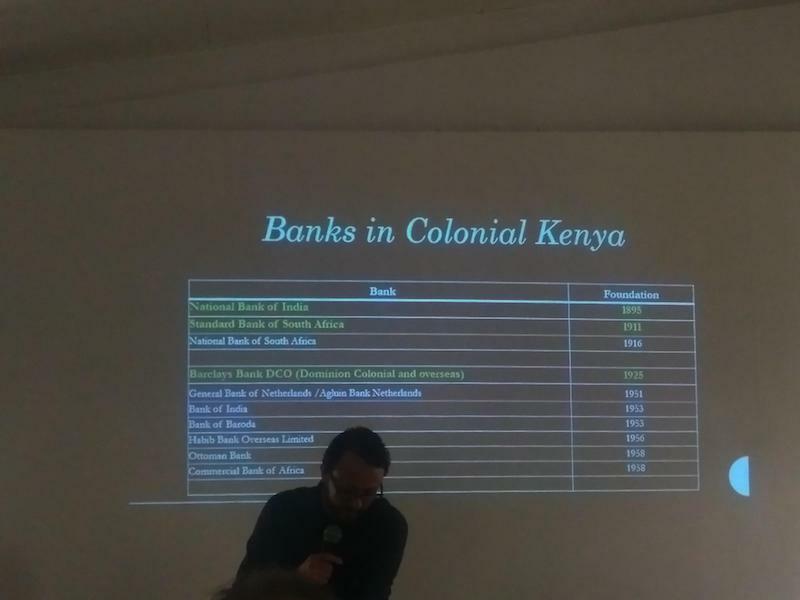 This morning there was a talk given by Christian Velasco of Warwick University on A Colony of Bankers: New Approaches to Commercial Banking History in Colonial Kenya. 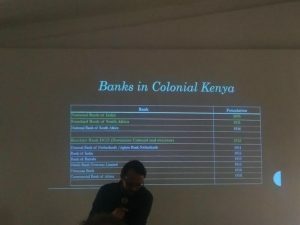 He said there have been very few books written about the early banking history of Kenya and East Africa and he had sourced information from the Kenya National Archives in Nairobi, and scattered bank archives in the UK, South Africa, or Australia, but that many records were now lost. There were the banks that came before the first World War and a raft of banks that started after the end of the Mau Mau war – and the banks could fall into three categories: Colonial banks (state-supported banks that were the only ones that could handle government accounts, and which disappeared after independence), Imperial banks (less dependent on government business, and who focused more on trade and agriculture) and multinationals (who had most of their business abroad). The story is of Kenya’s colonial banking era is really about three banks – the National Bank of India (NBI), Standard Bank of South Africa (SBSA) and Barclays. The arrival of Barclays in Kenya changed the banking sector greatly as it sought to end the long relationship that the National Bank of India had with colonial government in Kenya. Also when Barclays arrived, they found that the Standard Bank controlled many of the white accounts, so they set out to include more Africans as customers. Africans had bank accounts from around 1926, and by the 1950’s Barclays had more African accounts than settler accounts. 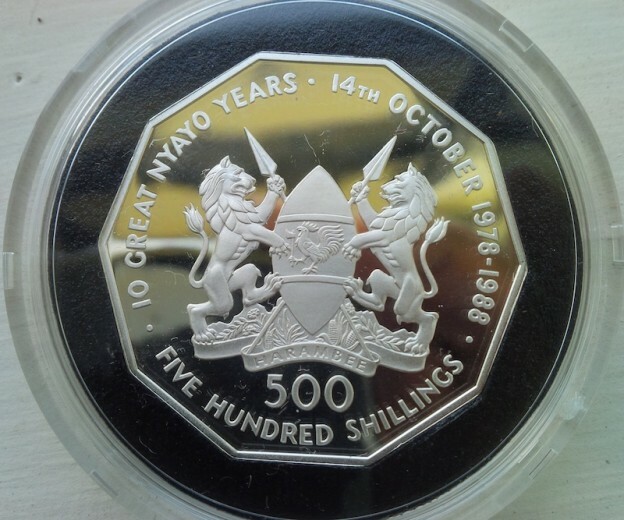 Banks were mostly found in urban areas and with the ending of the Mau Mau uprising, there was an expectation that Kenya would remain a British colony for many decades. This resulted in several new banks setting up in Kenya in the 1950’s. Meanwhile, NBI, SBSA, and Barclays all expanded by 100% opening up in new places around the country, even with mobile bank units to attract customers. Despite the arrival of the new banks, the main competition remained between these three established big banks, and in 1954, Barclays sent a memo to the colonial government complaining about the unfair practice of them favouring the NBI who retained a monopoly of new business that dated back 60 years. However Africanization of staff did not start until quote late – Barclays had 1,000 employees, and just 70 were Africans with many more who were Indians. There was a hierarchy in banks of having whites being top managers, middle jobs were done by Indians and Africans, the clerical jobs – and this was because customers did not want to deal with African staff. This entry was posted in Bank rankings, Barclays, India, Investing in Kenya, kenyamoneyinthepast, Stanbic on March 28, 2018 by bankelele.